No matter whether we like to admit or not, the climate is changing, and it’s especially taking its toll on Australia. What’s devastating is these changes may be irreversible. We’ve certainly seen how merciless nature can be in times of bushfires, so it doesn’t hurt to prepare well ahead of time to reduce the fire risks and avoid catastrophic consequences. First things first, you have to rely on a proper firefighting system, with the adequate firefighting pump. Nowadays, the choices of pumps are vast, so you can find many of them that are designed to be of high quality, yet still be affordable, and easy to use. Apart from paying attention to the different brands, taking your budget into account, it’s important to consider the flow and high pressure of the pump instead of just looking into the horsepower. A firefighting pump is adequate when it can fully protect your property in terms of pressure and flow high enough to cover the whole area. Then again, usefulness is also in the pump’s suction ability (that of a portable pump), giving you the opportunity to use up swamp, pool, well, or stream water in an emergency. 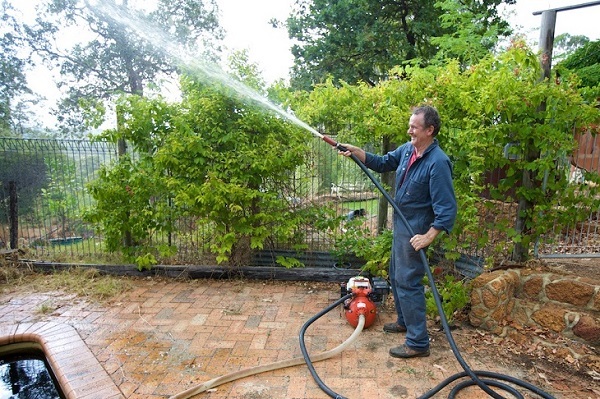 A word of advice is to check whether the hoses are long enough for your entire home. Pumps make a valuable purchase since when not in case of fire, or clearing out water during flooding emergency, they can be used for heavy duty cleaning, and garden irrigation. Make sure you store firefighting equipment in a spot where it will be protected. Other things you can do to protect your home, particularly if you live in a bushfire prone area, have to do with frequently clearing out roof, gutter, and downpipes from piles of leaves. You can go a step further by adding metal leaf guards. Speaking of metal, it’s the advised material to choose when installing a screen door, window screen, and vents; by all means, avoid plastic! It’s needless to say you have to maintain your lawn regularly, and not leave out clippings or debris anywhere near your home, always cleaning and organising the garden, along with clearing out any combustible materials in the form of paper, and wood. In terms of plants, your garden has to be filled with vegetation that’s least likely to ignite, so pick carefully, and don’t plant them too close to your house. Remember to inspect floors and decks carefully, covering up any areas that are open underneath.